Craig Blakeley’s legal practice focuses broadly on telecommunications and technology, including Internet-related issues such as intellectual property and cybercrime. It includes representation of domestic U.S. and off-shore companies on regulatory, litigation, and transactional matters, in the U.S. and internationally. Craig is an experienced FCC attorney, having represented broadcasters, wireless providers, telecommunications companies, antenna site owners, and electronic equipment manufacturers before that agency. He also advises and represents clients before other federal agencies, such as the Federal Trade Commission, on issues such as consumer and data privacy and cyberfraud. His legal practice is not limited to existing technologies. He also advises companies on legal and regulatory matters involving new technologies such as aerial drones and automated vehicles. Craig has represented U.S. companies on international transactions and has represented off-shore companies on transactional and litigation matters in the U.S. In addition, he has served as a consultant to governmental entities outside the U.S. on matters such as telecommunications & wireless reform and liberalization, Internet regulation, intellectual property reform, e-government and e-commerce and cybercrime. He has worked in Jordan, Lebanon, the West Bank (Palestine), Qatar, Bahrain, Ireland, Azerbaijan, Macedonia, and other countries. He is the co-author of Global Information Technology Law (West Publishing; 2010), now in its sixth edition, which discusses telecommunications, Internet, e-commerce, e-government, and intellectual property issues in 23 countries. The book is updated annually. Mr. Blakeley also has an active litigation practice and has represented clients in state and federal courts. Together with Kathleen McDermott, he also has litigated land use cases. Before helping found the firm, Mr. Blakeley practiced with several well-known firms in the United States, including Wilmer, Cutler & Pickering, and Sidley & Austin, where he was a partner in the Washington, D.C. office. Mr. Blakeley received his undergraduate degree from New College in Sarasota, Florida in 1975. 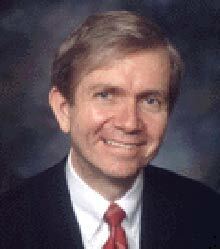 He received a law degree from the University of Pennsylvania Law School in 1979, where he also served as a member of the Editorial Board of the University of Pennsylvania Law Review. Following graduation from law school, he served for one year as a law clerk to Judge Max Rosenn on the U.S. Court of Appeals for the Third Circuit. Craig is a member of the Virginia and District of Columbia Bars. He is ranked AV by Martindale Hubbell.